Law Degree, University of Oviedo, 2008 (IV Centennial National Award from the University of Oviedo Law School). Masters of Laws (LL.M.) in Business Legal Advice, IE Law School, 2009. Doctorate in Commercial Law, King Juan Carlos University. Market and Competition Law Institute. Ramon Areces Foundation Commercial Distribution Professor. 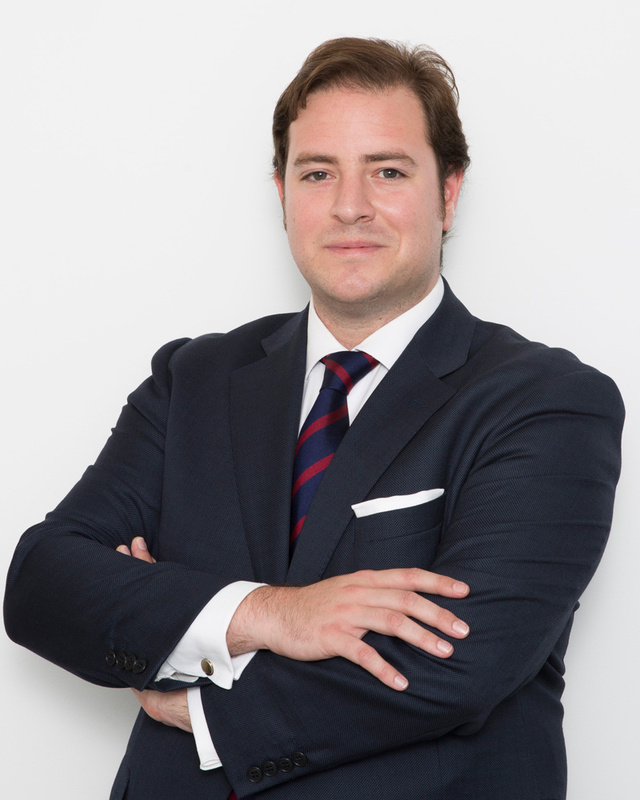 Juan Fernández Baños started working at our law firm in 2012. He started his professional career working at the Law Offices of Ramón y Cajal Abogados. He provides legal advice to listed and private companies on Civil and Commercial Law, processes at Civil and Contentious-administrative jurisdictions, having been in charge of legal proceedings on contract breach and termination, contract construction, contractual and non-contractual civil liabilities, urban leasing, challenging corporate agreement, conflicts among shareholders, and the protection of honor, privacy, and self-image. He has gained experience along his professional career in unfair competition, advertising, industrial property, and agency, distribution, and franchise agreements, providing legal advice to leading companies in commercial distribution, financial services, textiles, and food and beverages for contentious and non-contentious matters. He is often involved in arbitration proceedings held at domestic and international courts. He is also in charge of Corporate Compliance Programs on criminal liabilities of legal persons. He stands-out for his involvement with legal proceedings in representation of issuers of securities listed in the fixed income markets. He has also participated in matters of great financial relevance in arbitration proceedings. He is a regular speaker at a number of universities and business schools in Spain. He is currently a Professor of the Ramon Areces Foundation Commercial Distribution class, and he teaches classes on Business Legal Advice of the Master’s Program at Charles III University of Madrid, King Juan Carlos University, and The Centro Universitario Villanueva (University Studies). He is also a faculty member at ISDE Law and Economics School. “La adecuada utilización de las acciones de protección del inversor en productos financieros” (The Correct Use of the Investor’s Protection Actions in Financial Products). “Nuevas reglas para los operadores de la cadena agroalimentaria: la ley 12/2013, de 2 de agosto, de medidas para mejorar el funcionamiento de la cadena alimentaria” (New Regulations for Agriculture and Food Industry Operators – Law 12/2013 dated August 2, on Measures to Improve the Food Chain Performance).